Jessi's Design: Sweet Summertime Giveaway! A monogrammed towel, mason jar mug AND gift card for a new beach read? Let's just go ahead and leave for the beach this weekend! Who's in?! Yessss to monogrammed everything! Such a great giveaway. I entered and I just started following a lot of the bloggers that I did not already know so thanks for the introduction!! This giveaway is perfecto!! Thanks ladies! 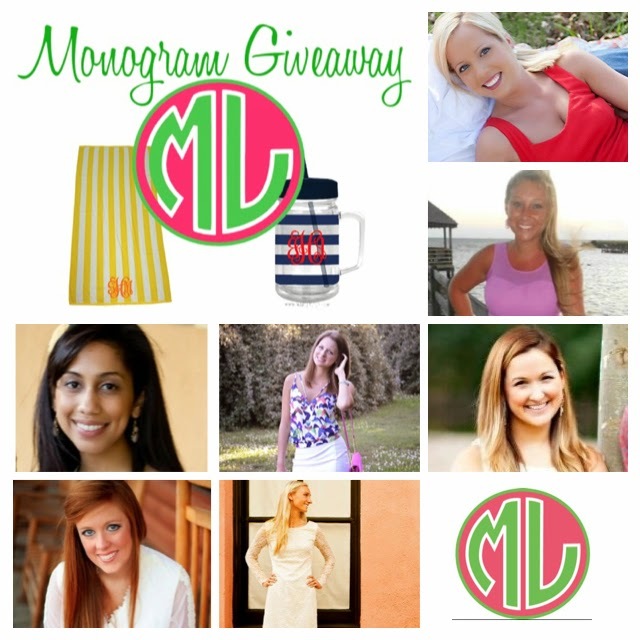 Love the giveaway and all things monogrammed!! So sweet of you girls to share the love!! Great giveaway! Thanks for hosting! Hope you're having a good week! What a great giveaway, thanks girl! !